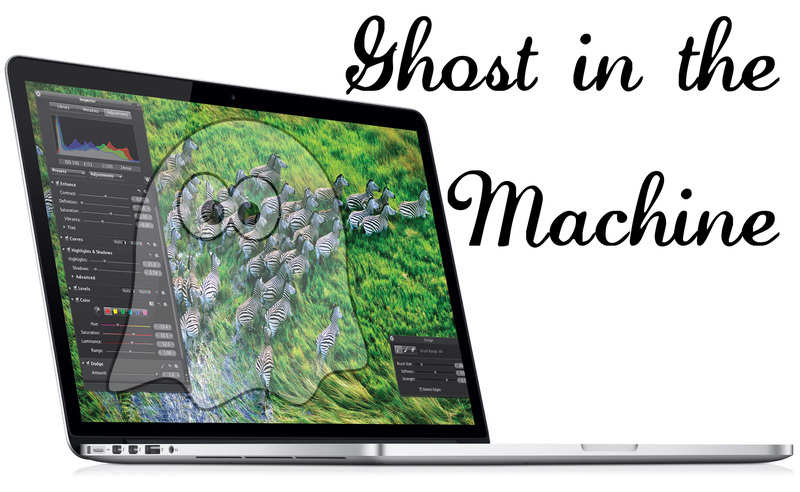 Just yesterday I noticed while editing some Illustrator and Photoshop documents that there was significant ghosting on my August 2012 Retina MacBook Pro screen. You know, the screen known for its brilliant resolution and eye-popping color. And also for this particular flaw. I absolutely love my Apple MacBook Pro with Retina Screen (rMBP). It is the most powerful computer I have ever owned, the thinnest computer I have ever owned and has the longest battery life of any computer I have ever owned. It is so amazing that I plan on putting my iMac out to pasture, replacing it with this computer and a 27″ screen. Oh those were the days… Here is an approximation of how it went down.